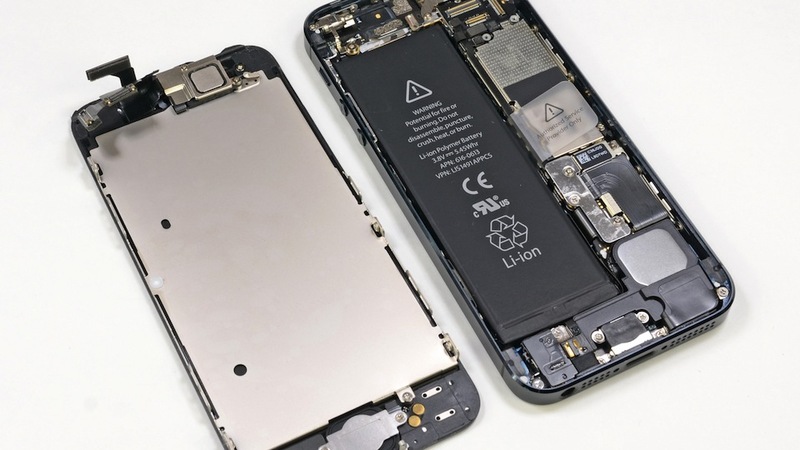 Could battery tech be the next big competing feature in iPhones? Discussion in 'iPhone' started by appleofmy"i", Oct 9, 2013. It has been obvious for years now that one the the biggest limiting factors in technology is battery tech. I kind of just want to talk about this issue and see what others opinions are on what we might see in the years to come. Could we see that become a big competing arena between companies? I hope so. I'm looking forward to new battery tech more than quad or eight core processors in phones. But as a heart patient, I'd prefer better battery life, so I don't have to carry a charger, if I'm going to be out all day running, or use a Mophie that destroys the slimness of my phone. That'd be awesome. Would love a battery that can last me all day with heavy usage. Just think about everything that could enable. Think about a phone that is truly environmentally aware (location, context, on and on...). The current development is in the anode cathode design. They are working with new materials and shapes. They can triple the charge repetitions, and even get longer battery life. However I don't see the battery formula changing any time soon. So for the same size you will have the same capacity, the battery however will last up to 3 times longer. Can you imagine it lasting 9 to 10 years? Don't hold your breath over this. I'm sure apple is working on something new for battery tech. If they want to slim down devices even more they will definitely have to come up with a different battery system. I dunno what you guys do with your phones but mine lasts a day and a half with Bluetooth, wifi, gps and maps open almost all day plus numerous phone calls, emails and texts. Agreed that we need better battery tech because that half a day means I have to carry a charger in the truck or plug it in at >60% at night. I think it will be, definitely. Reason being is that future iPhones will likely (according to rumors) house a much larger screen, which will use up more battery but I feel that since Apple is so good at optimising everything the jump from A7 to A8 will mean that battery requirements won't increase by much at all (apart from said screen). So the extra sized, non-removable battery found in the bigger iPhone will hopefully power the screen for longer than the current sized battery as well as in general providing a longer lasting device. New battery technologies are certainly going to be big evolutions in the future, but it's not going to be within the next couple of years, at least not for mainstream products like the iPhone. Lithium-sulfer is probably going to be the next technology in consumer batteries. They are significantly more energy-dense than current Lithium chemistries, but they still have some significant hurdles to overcome in terms to durability. This just seems like an area that more tech companies should be putting their weight behind and, at least from a public perspective from leaks and job posts, it doesn't seem many are. Definitely. At this point in time, we don't even have software that can make use of quad or eight core processors, but battery life is always something that can be improved (and we can actually take use of). For the mean time, I'm using a Mophie Juice Pack (rechargeable case) to extend my usage time, but if the iPhone's battery life wasn't so bad, I wouldn't need it. There was some chatter a couple of years ago about switching to micro fuel cells which would be able to carry a charge for a couple of weeks or better. I have no idea how far off that technology is, but it would represent a quantum leap in development. Imagine if the 4.7 and 5.7 iPhone's become a reality. The CPU boards don't need more space. But there will be that much more space for battery. Most people complain about the battery. I would definitely prefer a larger screen. New battery tech would be great but some pretty decent improvements in battery life should be possible by design choices using existing technology. IGZO screens should save power. Further shrinking of the electronics via higher integration and smaller process geometries could free up more internal volume for the battery. Putting more emphasis on SoC power efficiency instead of feeling the need to double the CPU and GPU power every year. Optimising every single aspect of iOS to reduce power consumption as much as possible. I can see all these things taken together and done really well being able to double battery life without needing new battery tech. Battery efficiency has improved tenfold in the last 15 years. I think this is often not recognized. Still, I'm also always interested in more battery like. Battery efficiency may have increased but so has power consumption which is why batteries don't last days like on dumb phones. I'll be happy when I can use a smartphone on LTE for a whole day with heavy usage. My S4 got pretty good battery life on LTE the whole day (4-5 hours screen on and 1 day+ on time) but my 5S is no where near that and it's on 3G. Apple increased the screen size of the next iPhone. Apple used increased space from the screen size change to implement a larger Battery. Apple did something to improve the Batteries they use overall. AND they implemented IGZO or a similar tech to further improved battery life, maybe even similar technology for bluetooth/wifi, things that use up the most Battery in general? That alone IMO would give me enough reason to upgrade to the next iPhone from my current 5s, depending on how much of a difference was made. Which would probably be a large gain, considering they would be improving three aspects of Battery usage. I always have brightness below 50%, and always have Bluetooth off and I still wish I had more battery life. Not A lot more, but imagine if Battery Life was improved 20% maybe even more? Usually my phone will last most of the day, but on days with heavy usage and not much free time to charge my phone, it becomes a legitimate problem.